Born 23rd June 1925. Died 2nd February 1989. 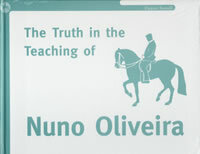 NUNO OLIVEIRA, by his tireless work, study, and belief in the Classical Principles of the art of training horses provided the link with the Great Masters of the 16th, 17th and 19th century in Europe, and the changing and expanding world of the 20th century. Nuno Oliveira taught and trained all his life, based originally in Lisbon, and later in Avessada, Portugal. 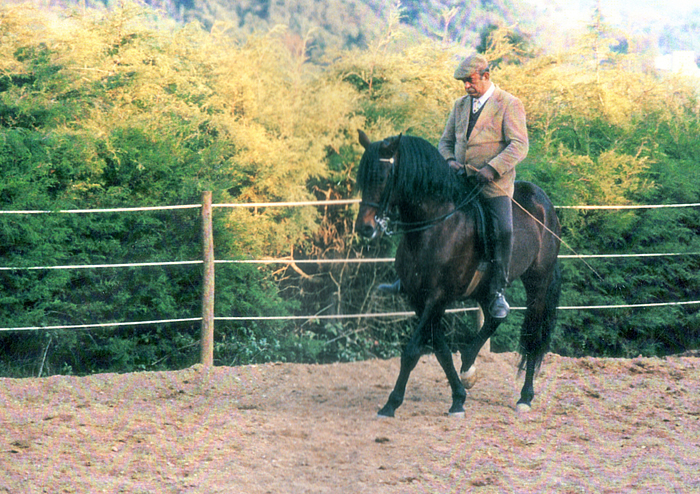 He gave numerous performances with his beautifully trained horses throughout Portugal, often for charity. In the 1960's and early 1970's, he travelled to many countries in Europe and the United Kingdom to give demonstrations of all Classical movements. He also travelled to the United States, South America, and also to Australia and Asia giving training clinics and performances. Eleanor began to learn about exercises for horses, when she attended clinics with Franz Mairinger and Karl Mikolka. Later, this was followed by 10 years as a student of Nuno Oliveira. During this time she spent a year as a student at Avessada with her French stallion Victorieux. Eleanor is a successful competition rider, an FEI judge and breeds Arabian Warmbloods . She also translated two of Nuno Oliveira's last books and is the author of the above two books. 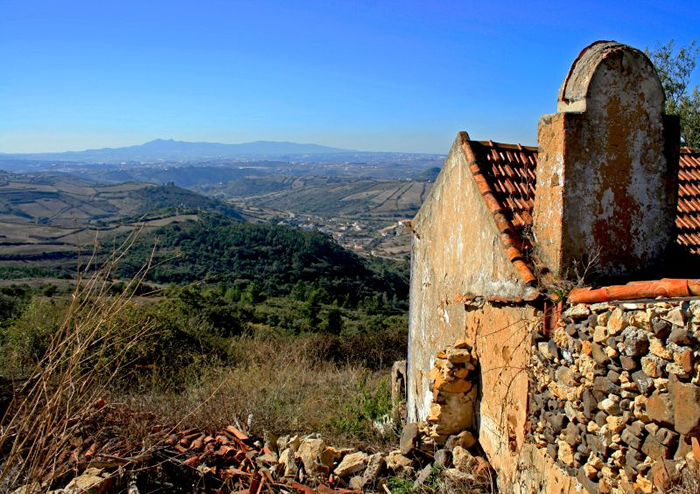 Superb colour photos of Nuno Oliveira. 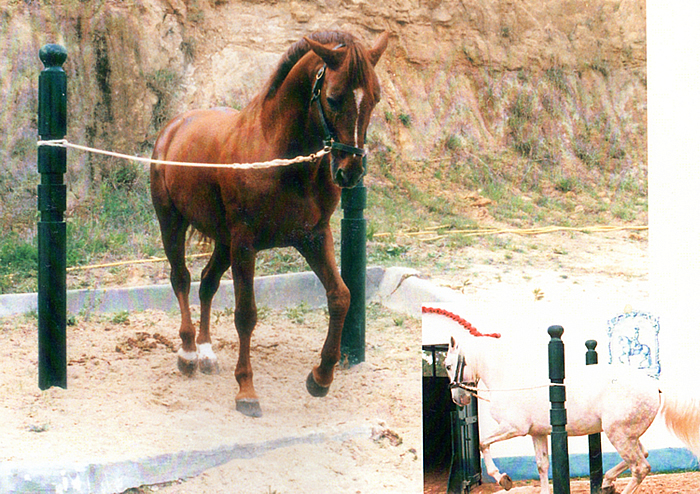 Unposed moments in training at his home in Avessada, Portugal. 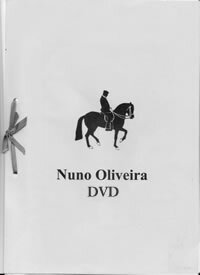 Over 70 pages of never before published colour photos and training principles in the words of Nuno Oliveira. The text is transcribed from Eleanor Russell's notes and faithfully recorded quotes from Nuno Oliveira taken over the 10 years Ms. Russell was his student. 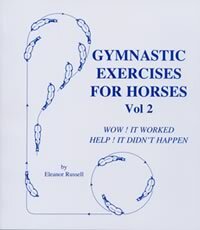 This book aims to tell you how to build up your horse as you train him and how to cope with the problems along the way. Exercises for Green horses to Grand Prix. Each section complete with ' HELP ! It didn't happen" assistance. 140 pages, more than 65 exercises of brief easy to follow diagrams and text written in basic rider's language. The diagrams are simple to follow with emphasis on imaginatively changing these exercises to keep you and your horse working in a happy and interesting way. The Master never stopped learning!